Valentina Janev is a Senior Researcher at the Mihajlo Pupin Institute, University of Belgrade, Serbia. She graduated in Electrical Engineering from the University of Ljubljana, Slovenia and received the PhD degree in the field of Semantic Web technologies from the University of Belgrade, School of Electrical Engineering and Computer Science. Since 1996, she has participated in design and implementation of many information systems including government applications as part of commercial and scientific projects including EU-funded project from FP6, FP7 and H2020. Recently, her research activity concerns Linked, Open and Big Data and implementation of EU policies in these domains. She serves as a reviewer of respectable international journals including International Journal on Semantic Web and Information Systems (IGI Global); International Journal of Digital Earth, Enterprise Information Systems, Knowledge Management Research and Practice, Information Systems Management (Taylor & Francis), Artificial Intelligence Review (Springer) and Data Mining and Knowledge Discovery (Wiley). Arun B. Inamdar received his Ph.D. degree in Geology from IIT Bombay in 1986. Currently, he is a Professor at CSRE, IIT Bombay. His current research interests are Application of Remote Sensing and GIS to ICM and Climate Change studies; Coastal vulnerability studies along Indian coastline, LU/LC monitoring through satellite Remote Sensing. Climate Change studies; Coastal vulnerability studies along Indian coastline, LU/LC monitoring through satellite Remote Sensing. Shihong Du received the B.S. and M.S. degrees in cartography and geographic information system from the Wuhan University, Hubei, China, and the Ph.D. degree in cartography and geographic information system from the Institute of Remote Sensing Applications, Chinese Academy of Sciences, Beijing, China, in 1998, 2001, and 2004, respectively. He is currently an Associate Professor with the Peking University, Beijing, China. His research interests include qualitative knowledge representation, reasoning and its applications, and semantic understanding of spatial data including GIS and remote sensing data. His research interests include qualitative knowledge representation, reasoning and its applications, and semantic understanding of spatial data including GIS and remote sensing data. Sadiq Abdullahi Yelwa has completed his PhD from the department of Environmental Sciences, University of Stirling, UK. He has been a Lecturer in the department of Geography Usmanu Danfodiyo University, Sokoto since 1997. He was seconded for two years to start the Department of Environmental Sciences, Federal University Dutse in Jigawa State between 2012 to 2014. He has published more than 30 papers in reputed journals. He has recently been appointed to serve as the Head of Department of the newly established department of Environmental and Resources Management, Faculty of Engineering at Usmanu Danfodiyo University, Sokoto, Nigeria. Xinhang Shen graduated from Shanghai Jiao Tong University (B. Eng. in Naval Architecture & M. Sci. in Mechanics) in China and Royal Institute of Technology (Tech. Licentiate in Computational Fluide Mechanics) in Sweden and worked in a few organizations including University of Toronto. In 1995, he developed Natural Area Coding System and founded NAC Geographic Products Inc. From then on, he has been running the company, developing various software and web applications and providing consulting and geo-services for more than 20 years. Natural Area Coding System has been adopted as address systems in Mongolia, Somaliland, Lebanon, Nigeria, Indonesia, etc. Recently, he has been working on theoretical physics and produced a paper to disprove the Special Theory of Relativity. The conclusion of the paper has been reviewed and confirmed by both the reviewer and the chairman of the conference of "The Nature of Light: What are Photons. Yong Wang received his Ph.D. degree from the University of California, Santa Barbara, California, USA, in 1992 focusing on synthetic aperture radar (SAR) and its application. His current research interests include the application of remotely sensed and geospatial datasets to the study of environments and natural hazards, and the algorithm development in SAR imaging and information extraction and in InSAR (Interferometric SAR) data analysis and application. Dr. Wataru Takeuchi is currently an Associate Professor at Institute of Industrial Science (IIS), University of Tokyo, Japan. He obtained Bachelor degree in 1999, Master degree in 2001, and PhD degree in 2004 at Department of Civil Engineering, Faculty of Engineering, The University of Tokyo, Japan. He has worked at IIS since 2004 as a Post doctoral fellow. Dr. Wataru Takeuchi was a Visiting Assistant Professor at Asian Institute of Technology (AIT), Thailand from 2007 to 2009. He was also Director of Japan Society for Promotion of Science (JSPS), Bangkok office, Thailand during the period 2010-2012. His current research interests consist of Remote sensing and GIS, Global land cover and land use change, Global carbon cycling, and Management and policy for terrestrial ecosystems. Remote sensing and GIS, Global land cover and land use change, Global carbon cycling, and Management and policy for terrestrial ecosystems. Ismail Sabbah has completed his PhD in 1990 from the University of New Mexico and his D.Sc in 2012 from University of Alexandria, Egypt. He is working in Remote Sensing and Space Weather. He has published more than 50 papers in reputed journals and serving as an editorial board member of repute. He established the AErosol RObotic NETwork (AERONET) site in Kuwait and completed the Global Muon Detector Network (GMDN) for Space Weather predictions in 2006 by installing the first cosmic-ray muon Telescope in the Middle East. Sherif Ishak is a Professor of Civil Engineering, Interim Associate Dean for Academic Affairs and Director of the Engineering Science Program at The Louisiana State University. He obtained his B.S (1987) in Civil Engineering and his M.S Civil Engineering (1994) and Ph.D. (1998) in Civil Engineering from the University of University of Central Florida. His research focuses on Traffic operations and control, Transportation in Geographic information system (GIS), intelligent transportation systems, information systems, microsimulation modeling, and artificial intelligence applications. He is a recipient of Tiger Athletic Foundation Award, LSU, 2015, ASCE Transportation Technical Group Scholarship in 1996, UCF-DSRT Graduate Enhancement Award in 1994 and 1995. 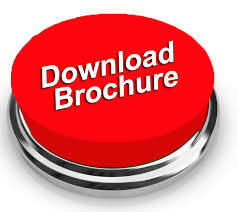 Traffic operations and control, Transportation in Geographic information system (GIS), intelligent transportation systems, information systems, microsimulation modeling, and artificial intelligence applications. J. Sánchez de Río has completed his PhD at the age of 28 years from Autónoma University and he has done his postdoctoral studies at the IEM-CSIC Experimental Nuclear Physics Group. He is now working as a researcher in the Statistics and Informatics department at Rey Juan Carlos University. He has published more than 25 papers in reputed journals and 4 patents related to Biometrics. He has participated in many international conferences related to Environmental Science, Photonics, Nuclear Science and Pattern Recognition. He has been lecturer of Biophysics at IE University. Dr Hai GUO obtained his Ph.D. degree in Air Quality in 2000 and did his postdoctoral research at New York University, University of California at Irvine (Nobel laureate group), Queensland University of Technology, and the Hong Kong Polytechnic University. He is currently an Associate Professor (with tenure) in the Department of Civil and Environmental Engineering of the Hong Kong Polytechnic University, and an Adjunct Professor at Queensland University of Technology, Australia, and Wuhan University, China. Dr. GUO has supervised 4 postdoctoral fellows, 6 PhD students and a number of Master students. Dr. GUO’s major research interests include atmospheric chemistry, regional and urban air pollution, source apportionment, photochemistry, acidic ultrafine particles, new particle formation and indoor and outdoor air pollution. Dr. GUO is an investigator of more than 35 highly competitive external research projects with grants over 40 million Hong Kong dollars. He has published over 170 papers in high-quality international journals and conference proceedings with over 2186 SCI citations to date. His current h-index is 26. He is an Editorial Advisory Member of Atmospheric Environment (SCI impact factor: 3.281) and other four international journals and Director member of Integrated Land Ecosystem- Atmosphere Processes Study（iLEAPS）of China Branch. He is also an active reviewer for more than 35 journals. Dr. GUO has given keynote and invited speech in a number of international conferences and been a member of Scientific Advisor Committee in various conferences. Dr. GUO obtained the prestigious Gary COMER Abrupt Climate Change Fellowship in 2004-2005. He is also the winner of the Dean's Award for Outstanding Achievement in Research Funding in 2010 and in 2014, and the Dean’s Award for Outstanding Publication Achievement (Category I: High Quality Publications) in 2013. Yongwei Sheng completed his PhD in 2000 from University of California, Berkeley. He currently is a professor at Department of Geography, University of California, Los Angeles (UCLA). He has published more than 80 papers in reputed journals and is currently serving in NASA Landsat Science Team and NASA SWOT Mission Science Team. Monitoring lake dynamics in the context of global change, especially in the regions sensitive to climate change such as the Tibetan Plateau and the pan-Arctic, through several ongoing NSF, NASA, and USGS funded projects. Ahmed Melegy has his expertise in environmental Geology in improving Understanding how environmental enhancement and conservation. His Ph.D degree from Charles University-Czech Republic during 1998.He is living in Cairo, Egypt. Now, He is Professor and Head of Geological Sciences Department in National Research Centre- Dokki- Cairo- Egypt. He has many experiences in calculating mass balances in different catchments, monitoring inputs and outputs of heavy metals, remediation and using XPS through Nano surface. He is reviewers for many International Journals. He has 15 International Projects. He has participated in 30 conferences. He has more than 70 publications in International Journals. Structural Geology, Environmental Geology, Hydrology and Hydrogeology, Petroleum Geology. S. Majid Hassanizadeh is Professor of Hydrogeology at Utrecht University and Senior Advisor with Soil and Groundwater Department of Deltares. 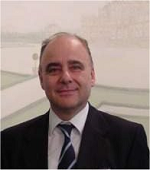 He is on editorial boards of many journals (Transport in Porous Media, Journal of Porous Media, Journal of Fluids) and has organized many conferences, workshops, and short courses. He is Elected Fellow of American Geophysical Union (2002), Fellow of American Association for Advancement of Science (2007). 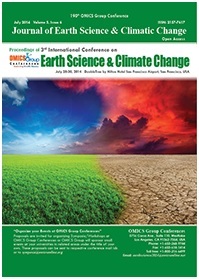 Selected as Distinguished Darcy Lecturer by US National Groundwater Association (2012). Recipient of Honorary Degree of Doctor-Ingenieur from Stuttgart University (2008), von Humboldt Prize (2010), Don and Betty Kirkham Soil Physics Award (2011), Advance Research Grant from European Research Council (2013), and Royal medal of honor Knight in the Order of Netherlands Lion (2015). Fundamental theories of flow and transport in porous media, and applications to complex porous media such as fuel cells, diapers, paper, and biological tissues. Dr. Rahul Verma has an overall teaching and research experience of more than 26 years. He has worked in Himalayan terrain for his Master’s Dissertation in Structural Geology. He has a Doctoral degree in Petrology and Geochemistry. His current focus is in structure, tectonics and slope stability. He has completed two projects sponsored by government of India in the field of “Landslide Causative Factors and Hazard Zonation. Presently he is handling a BIUST sponsored project on ‘Slope Stability in Mupane Gold Mine’, Botswana. 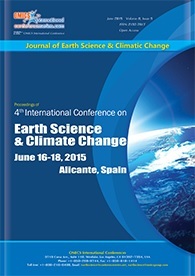 He has published 36 papers/chapters and has authored two books on Geology. He has guided two Ph.D. also. He has also received a prestigious award by an Indian NGO for his contributions in Science. Currently, he is affiliated to Department of Mining and Geological Engineering in Botswana International University of Science and Technology. He has worked in many field-related sub-disciplines of Earth Sciences including geologic mapping, microstructural analysis, strain analysis, paleostress reconstruction, active tectonics, tectonic geomorphology, crustal deformation and image processing. ​Mukesh Singh Boori is Senior Scientist in Samara University Russia and Adjunct Professor in American Sentinel University Colorado USA. Currently he is involved in remote sensing and GIS teaching and Russian academic excellence project. He has also held positions at University of Bonn Germany, Hokkaido University Japan, Palacky University Czech Republic, Ruhr University Bochum Germany, Leicester University UK, NOAA/NASA USA, JECRC University, JKLU University, MDS University and JSAC/ISRO India. He hold Postdoc from University of Maryland USA, PhD from Federal University – RN (UFRN) Brazil, Predoc from Katholiek University Leuven Belgium, MSc from MDS University and BSc from University of Rajasthan India. He received several distinguish awards including national academy of sciences (NAS) fellowship through national research council (NRC) central government of USA Washington DC, European union social fund through ministry of education, youth & sports Czech Republic, Honorary fellow University of Leicester UK, Prestigious Brazil-Italy government fellowship, Belgian and Indian government space fellowship. 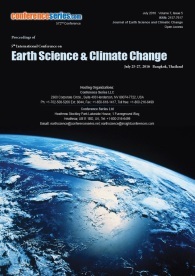 • Quantitative estimation of land surface variables for natural resources management in the context of global change from satellite remote sensing. •Spatio-temporal analysis of remotely sensed data to bring improved information for natural resource monitoring, management and modeling. 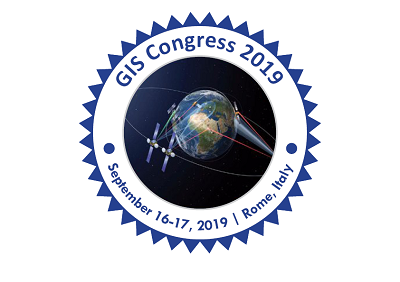 •Applications of remote sensing and GIS in different fields such as land use/cover change, vulnerability, climate change, urbanization, environmental monitoring and assessment. Fares Howari serves as a Professor of Environmental Sciences at Zayed University. He served as Professor and Chair of the Department of Applied Sciences and Mathematics at Abu Dhabi University as well as a Director of Abu Dhabi University Center of Excellence of Environment, Health and Safety (CoEHS). 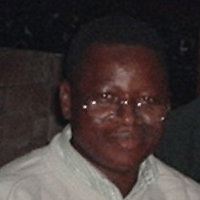 He is a water resources and environmental scientist with research development and administration expertise. He served as a Professor of Environmental Sciences and Engineering; and Coordinator of Environmental Sciences Program at the University of Texas, PB. He also joined the Center for International Energy and Environmental Policy (CIEEP) as program coordinator, and as an Environmental Scientist at the Bureau of Economic Geology at the University of Texas at Austin. Before joining the University of Texas at Austin, Prof Howari worked as an Associate Professor at United Arab Emirates University (UAEU). At UAEU, he served in the Executive Committee for the Water Resources Graduate Program, supervisor for the Environment Society, joined dozens of committees, taught several courses, successfully obtained several grants, and conducted numerous consultations. Prior to this Dr. Howari worked for about two years at Texas A and M University where he worked as a research scientist on the development and application of computer models to assess environmental contamination problems in marine and terrestrial environments. He conduct dozens of risk assessments investigations necessary for impact assessments and baseline assessments for scoping and EIA reports. During the progressive of his professional career, he developed distinguished academic, and project coordination skills. Dr. Howari has valuable experience in management, strategic planning and administration, and also in creative leadership. Started carrier working on technical issues of soil, water and the environment, and evolved to coordinate, and direct large research programs; interest emerged to include policy and social aspects of natural resources management. Currently have more than 16 years technical and administrative experience and knowledge in a wide range of project development and implementation in the area of environmental, soil and agricultural issues, and associated role of technology demonstrated in 100 publications and dozens of successfully completed projects, as well as in service at lead institutions in the USA, and Middle East. He received recognition award from Minister of Higher Education and Scientific Research of the UAE, and, he received the Bureau of Economic Geology, Texas Author Achievement Award among others. Orabi Hussein Orabi is currently the Former Head of Geology Department at Menoufia University, Egypt. He has done his Ph. D. form Menoufia University in the year of 1989. He is the member of the Geological Society of Egypt as well as the Paleontological Society of Egypt. He has more than 12 publications in many Scientific journals. Geology, Bio- Stratigraphy, Mineralogy and Petrology. Dr. G. R. Senthil Kumar did his M.Sc (Geology) and M.Phil (Geology) in the Department of Geology, Presidency College, Chennai, India and the degrees was awarded in the year 1991 and 1992 respectively. He had his Ph.D. degree in Geology from Annamalai University, Tamil Nadu, India. In addition, he is in possession of a Diploma in Mining Engineering. Since 1999, he is working as a faculty member in the Department of Earth Sciences, Annamalai University. He was a member of the Annamalai University Academic Council and Board of studies. He is also serving as a board member for few colleges and Universities. To his credit, he has published 51 research papers and attended 14 training programs on various aspects. He has guided for M.Phil and Ph.D. students. He has completed one research project funded by DST. He is a Life member of many organizations, namely GSI, MEAI, SGAT, etc. and Honorary fellow in FIMI. He has been certified as an RQP by IBM, Govt. of India for the preparation of mine plans and environmental plans, also NABET (MoEF) approved Functional area Expert in Geology. He has visited Maldives and China and presented technical papers. Received the Pinnacle of Achievement award in Earth Sciences (2001), by American Biographical Institute, Raleigh, USA and named in the Marquis who’s who in the world 2012, 29th edition. He has received the Best Citizen of India, 2012 award from International Publishing house, New Delhi. In addition to the academic activities, he served as NSS program officer and presently holding the administrative post of Advisor for UGC-EOC & Scholarship Cells of Annamalai University. Hydrogeology, Industrial minerals, Mining geology and bio-mineralisation. M. Bouassida is a professor of civil engineering at the National Engineering School of Tunis (ENIT) of the University of Tunis El Manar where he earned his B.S, M.S, Ph.D., and doctorate of sciences diplomas, all in civil engineering. He is the director of the Research Laboratory in Geotechnical Engineering and has supervised 16 Ph.D. and 29 Master of Science graduates. Geo technical Engineering,soil improvement techniques ,Geo mechanics, Ground Improvement Techniques, Design of foundation reinforcement. Ivlev has completed his PhD at the age of 27 years from Chemical Technology Institute of D.I.Mendeleyev and postdoctoral studies from Stanford Chemical Physics of Russian Academy of Sciences. He is the Professor of Russian State Agrarian University of K.A. Timiryazev. He has published more than 200 papers in reputed journals and 4 scientific monographs. He has been serving as an editorial board member of Journal of Ecosystems & Ecography and of Allied Journal of Enviromental Earth Sciences. In 2005 he was awarded the medal of the Russian Academy of Natural Sciences “To Author of Scientific Discovery” . Dr. Subhasis Sen : completed his PhD in 1974 from Nagpur University and worked in Central Fuel Research Institute of the Council of Scientific & Industrial Research, India, as a geologist from where he retired in 1996. He has published more than 170 papers in reputed Indian and International journals and has published two books ‘Earth – the Planet Extraordinary’ and ‘Decoding the Solar System’. Dr. Sen has developed a global tectonics termed ‘Unified Global Tectonics’ for understanding the earth system. He also served as an Editor of the Gondwana Geological Magazine. Dr. Bahman Zohuri is currently at the Galaxy Advanced Engineering, Inc. a consulting company that he stared himself in 1991 when he left both semiconductor and defense industries after many years working as a chief scientist. After graduating from University of Illinois in field of Physics and Applied Mathematics, he joined Westinghouse Electric Corporation where he performed thermal hydraulic analysis and natural circulation for Inherent Shutdown Heat Removal System (ISHRS) in the core of a Liquid Metal Fast Breeder Reactor (LMFBR) as a secondary fully inherent shut system for secondary loop heat exchange. All these designs were, used for Nuclear Safety and Reliability Engineering for Self-Actuated Shutdown System. He designed the Mercury Heat Pipe and Electromagnetic Pumps for Large Pool Concepts of LMFBR for heat rejection purpose for this reactor around 1978 where he received a patent for it. He then was, transferred to defense division of Westinghouse later, where he was responsible for the dynamic analysis and method of launch and handling of MX missile out of canister. He has later on joined Lockheed and Rockewell International working on Sattelite system for SDI as well as working and developing sensor system on board for remote sensing as well GIS. He later on was a consultant at Sandia National Laboratory after leaving United States Navy. Dr. Zohuri earned his first Bachelor's in Applied Matematics and his second one in Physics along with his Master’s degrees in Physics from the University of Illinois and his second Master degree in Mechanical Engineering as well as his Doctorate in Nuclear Engineering from University of New Mexico. He has been, awarded three patents, and has published 26 textbooks and numerous other journal publications. Recently he has been involved with Cloud Computation, Data warehousing, and Data Mining using Fuzzy and Boolean logic. He has published more than 25 papers in reputed journals and has been serving as an editorial board member of repute. Dr. Aruna Saxena obtained B.Arch. (Architecture) in 1992 and MUP (Urban Planning) from School of planning & Architecture, New Delhi in 1994. She did Ph.D. in Architecture using Remote Sensing & GIS technology in 2002. She did Specialization in Advance Remote Sensing and GIS from International Institute of Aerospace Survey & Earth Sciences (ITC), Enschede, the Netherlands in 2006. She has traveled to USA, South Africa, Spain, Switzerland, Germany, Italy, Netherlands, France, Singapore, Dubai,Egpyt, Australia for academic purpose. Dr. Saxena has published about 70 research papers, guided 5 Ph.D. Thesis, 12 M.Tech. Thesis authored one Textbook on GIS and spatial data published in July 2008 Presently, Dr. Aruna Saxena is Professor & Head, Training, Placement & Students Welfare Cell of MANIT,Bhopal. Nobuyoshi Imura was born in Japan on Feb. 23, 1948. He received the B.Eng. degrees in Faculty of Engineering, Keio University, Japan in 1970, then he started his career at Mitsubishi Electric Corporation in the same year to develop satellite onboard synthetic aperture radar (SAR) systems (JERS-1 SAR, ALOS PALSAR, IGS SAR etc.) , satellite systems (JERS-1, ADEOS, IGS etc.) , ground system and remote sensing system for about 40 years (including Japan Aerospace Exploration Agency to be transferred to later). He is currently as a project manager of small SAR satellite in Center for Environmental Remote Sensing, Chiba University. His main research interests are SAR system, satellite bus system, deployment structure and system, Research and Development (R & D) model of SAR antenna, satellite onboard SAR components. His Remote Sensing Laboratory is also developing unmanned aerial vehicle, small satellite for observation of global disaster and environmental change, scattering wave analysis and its applications in microwave remote sensing etc. Xinhang Shen has graduated from Shanghai Jiao Tong University (BEng in Naval Architecture & MSci in Mechanics) in China and Royal Institute of Technology (Technical Licentiate in Computational Fluid Mechanics) in Sweden and worked in a few organizations including University of Toronto. In 1995, he has developed Natural Area Coding System and founded NAC Geographic Products Inc., since then, he has been running the company, developing various software and web applications and providing consulting and geo-services for more than 20 years. Recently, he has been working on theoretical physics and produced a paper to disprove the special theory of relativity. James Lein obtained his docotrate from Kent State University and is currently Professor of Geography at Ohio University. His research focuses on applied geomatics with a concentration in remote sensing, environmental monitoring and land resource analysis. Lein has published numerous research papers and several books including Environmental Sensing: Analytic Techniques for Earth Observation (2012) and Futures Research and Environmental Sustainability: Theory and Method (2016). His research interests are focused on monitoring of land-use/land-cover change, the integration of remote sensing and GIS in natural hazard risk assessment, and the incorporation of artificial intelligence methods in environmental decision making. He has been an active member of the EGLR Membership Committee. Dr. Mukesh Singh Boori is Senior Scientist in Samara University Russia (03/2015–Present, funded by Russian Federation), Visiting Professor in JKLU University India (10/2016-11/2016), Visiting Senior Scientist at University of Bonn, Germany (05/2016–07/2016), Visiting Scientist/Professor at Hokkaido University Japan (12/2015–02/2016) and Adjunct Professor in American Sentinel University Colorado USA (07/2015–Present). He was involved in European Union Project as well as Visiting Assistant Professor in Palacky University Olomouc, Czech Republic (04/2013–06/2015), Ruhr University Bochum Germany (09/2014–12/2014) and University of Leicester, UK (Honorary Fellow 2014) funded by European Union; at the same time he was Assistant Professor in JECRC University India (01/2013–06/2015). He was Scientist in Satellite Climate Studies Branch (NOAA/NASA) selected by National Research Council (NRC) Central Govt. of USA Washington DC. During that time he completed his Postdoc from University of Maryland USA (10/2012). He has done PhD (EIA & Management of Natural Resources) from Federal University – RN (UFRN) Natal –RN Brazil (08/2011) funded by Brazil–Italy Govt. fellowship. He has done Predoc (Earth & Environmental Science) from Katholieke University Leuven Belgium (08/2008) selected by Ministry of Human Resource Development (MHRD) New Delhi India and funded by Govt. of Belgium. He has done MSc (Remote sensing & GIS) from MDS University Ajmer (2004) and BSc (Bio-group) from University of Rajasthan Jaipur India (2002). In early career he was scientist in JSAC/ISRO (2006-2007) and before that Lecturer (PG) at MDS University Ajmer (2005-2007Sessions). He received international awards/fellowships from UK, USA, Brazil, Italy, Indonesia, Belgium, Czech Republic, Germany, Russia, China, Japan and India. He known Six Language and visit four Continents for Awards, Meetings, Trainings, Field Trips, Seminars and Conferences. 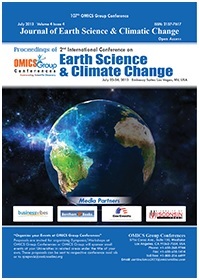 He is an active Organizing Committee Member in Earth & Space Science Conferences, Co-Chaired a session and gave Conference Opening Ceremony Speech as Reynold Speaker (08/2012) Chicago USA and (05/2017) Barcelona Spain. He is editor and member of more than 10 International Scientific Societies/Journals/Committees related to Earth & Space Science; which include organize conferences. His prime research interest is “EIA and Management of Natural Resources through Remote Sensing & GIS Technology”. He has more than 100 Peer-reviewed International Publications including Books as a first author on Vulnerability, Risk Assessment and Climate Change. Prof. Yehia Abdel-Aziz has received his doctoral degree in orbital Mechanics (2002) from the Faculty of Physics, Adam Mickiewicz University, Poland. He received his MSc. in Attitude Dynamics and Control of spacecraft (1998) from Mansoura University, Egypt. In February 2015 he has got the academic ranking full professor of Space Flight Dynamics and Control at Space Research Laboratory, NRIAG, Egypt. He is the Head of Space Research Laboratory at NRIAG, Egypt since March 2016. He is the Founder of the Spacecraft Charging Laboratory at NRIAG, Egypt. He was the Secretary General of the National Egyptian Committee of Space Research for COSPAR in the period of February 2005 - 2014. Professor Abdel-Aziz has more than 35 scientific research papers published in prestigious international journal covering such diverse topics as Attitude dynamics and control of spacecraft, orbital mechanics, Formation Flying satellites, Space Debris and Ground test for spacecraft charging and Discharging, in addition the interaction of spacecraft with space environments.